A couple of weeks ago, I wrote about settlers, and I implied that there would be a second part. Well, after more thinking on the subject, here is the second part. The word “settlers” has a couple of possible meanings. It could mean someone who follows in the footsteps of the pioneers and sets up camp when everything is safe. This was the angle I took in the first part if this blog. But there’s another possible meaning to the word settlers, that being the name given to people who settle for second best, or third best, or settle for the worst for that matter. Before we were saved, the enemy used tactics like lust, greed, hate, envy, and lots of other seemingly obvious ways to tempt us. After Jesus saved us, we (hopefully) stopped falling for those things so easily, though we will still often struggle. So the enemy changed his tactics to a more subtle line of offense, that being to get us involved in all sorts of good things, so long as those good things were not the best things that God had planned for us. This allows us to feel good about ourselves while still being disobedient. It allows us to continue to put ourselves first, and our faith atrophies like an unused muscle because we ignored the call to the best things God had for us. Before someone starts thinking that I’m suggesting something that is too hard, I want to point out one truth that has been proven to me over and over again. God almost always wants better for us than we want for ourselves. Our recurring problem is that we’re unable to see it, because being Americans we associate blessings with money and power and things. Well I would go so far to say that the person that God chooses to give nothing but material wealth is truly cursed beyond all men. God is not looking for our good, he’s looking for our best. He’s not looking for sacrifice, he’s looking for obedience. God is not looking for perfection, otherwise he wouldn’t have chosen us to do his work. Rather he’s looking for excellence, and a willing heart. God is looking for people that see that even though we live in temporary bodies, we are eternal beings, and our decisions should reflect that fact. He is looking for people who are not willing to settle for second best. I don’t know what God has called any one person to except myself. What I do know is that it’s a question I have to continually ask, because each time I take a step, the decision about the next step is brand new. Each man and woman needs to ask that question, and then have the faith to take that next step. I’d like to finish with some verses from Hebrews 11, which sums up what I’m talking about. The chapter is talking about many people who lived by faith, and it’s summed up with the following verses. Just as the people spoken of in these verses had the opportunity to turn back, so we have the opportunity to do the same. But just as they were pilgrims and strangers on this earth, so are we, whether we recognize it or not. We have eternity written in our bones, and we were built for far more excellent things. Bringing about excellence from imperfect things. As this year comes to a close and I assess all that has happened with missions and travel, I am reminded of the spiritual warfare that has happened throughout the year. I realize that all things work out for the good of those who love the Lord, but that doesn’t mean that the trials are any easier. Only as I learn more and experience more, I worry about it less and less. I am no longer blind-sided by it as much. I am still continually surprised by the ways in which it shows up, but it’s timing can be almost always timed down to the day shortly before something big is supposed to be happening. 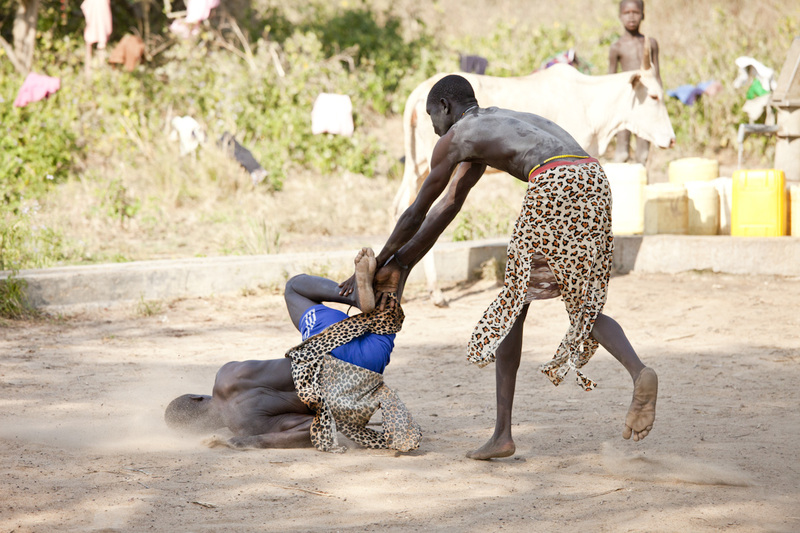 As I start counting down the days before I go to Ethiopia again, I can expect more warfare. Lately I have been reading The Pilgrim’s Progress by John Bunyan. It’s been decades since I last picked this up, and I am enjoying it if nothing more than for the word pictures it contains that give clarity to a lot of abstract concepts. During my pondering about this book, the subject of the armor of God came up. We find the subject of the armor of God in Ephesians 6:10-18. This of course runs counter to our culture. We call ourselves Christians, but we refuse to engage the enemy. The evidence of this is in where we spend our missions dollars. 24% of the world has never heard the gospel. Yet those areas receive 1/2 of one percent of our missions dollars, whereas 94.5% goes to areas that are already filled with professing Christians. This makes absolutely no sense. Jesus said “Look, the fields are ripe for harvest, but the workers are few.” We keep going to the same fields that have already been harvested looking for a speck of grain that someone dropped, while the field next door, though harder to get to, has been completely ignored. Parents with children in the military are proud that their children are serving in conflict zones in Afghanistan or Iraq or elsewhere, but how many would send their children or go themselves to share the saving grace of God in those same areas? We somehow think it’s less important, when nothing could be further from the truth. Someday the sun and moon will fall from the sky, and we’ll all be long gone. At that point the only thing that will matter is whether and how we engaged the enemy. Is it a harder way? Yes. But as we see the world falling apart around us, don’t think the destruction that has fallen over Syria or Afghanistan or Yemen or Libya will fail to come to us simply because we failed to recognize that the enemy was not political factions but rather the prince of this world, the devil. We MUST engage the enemy, or we too are lost. I want to make one final point about the shield of faith. If faith is the substance of things hoped for, the evidence of things unseen, then we are taking something that cannot be seen and has no substance and turning it into substance and evidence, both of which are tangible things. It is only when we use faith, and faith becomes action, that action turns into something of substance. As James said, “show me your faith without action, and I will show you my faith by what I do.” The opportunities are there. We must have the courage to engage the enemy. You can only throw the enemy down when he gets close enough to touch. I normally don’t quote mis-quotes, but there is one mis-quote commonly attributed to Henry David Thoreau that I find more truthful and complete than the original, accurate quote. The mis-quote goes, “Most men lead lives of quiet desperation and die with their song still inside them.” So why do men live lives of quiet desperation? The second half of this is where the mis-quote comes in, but I believe it is an attempt to complete the thought. One of the greatest lies in western culture today is the notion that choice is freedom; the notion that if someone gives you two choices and you have the freedom to pick one, then we are empowered and life is fulfilling. Few bother to ask, “were those the only choices?”. Few bother to ask, “who gave me these choices?” Many times, the correct choice is one that was not put before you. In economics, we have something called opportunity cost. In a nutshell, opportunity cost is the opportunity that is lost because a different opportunity was taken. Take for example a person who takes a business opportunity rather than staying home with their kids. On one hand you have a financial gain, but on the other hand you’ve given up time with your kids that will never be regained. That is the opportunity cost of this particular situation. Secular western society gives us lots of opportunities to make money, and inevitably these are what the choices presented before us are based on. Should I go for the job that gives me the most pay, or the most benefits? But what if God wants you to go with a third choice? What if you’re called to a life of service? We need to weigh the opportunity cost before we blindly go with the choices put before us. In the book of Matthew, Jesus was speaking to the crowds on one occasion, and a learned man came up to him, and said to Jesus that he wanted to follow him, but said ” Lord, allow me first to go and bury my father.” Jesus response was, “Follow me; and let the dead bury their dead.” This might sound really harsh, until you realize that it’s never said, or even implied that this man’s father was actually dead. Let me give you a modern day equivalent.” I’ll live a life of service to God and to others, but first let me get through college.” Then you get through college and say, “I’ll live a life of service, but first let me get married.” Then it starts to change. “I can’t live a life of service, because I have a wife and kids to take care of. I’ll do it after the kids leave the house.” Then it becomes, “I’ll live a life of service, but I have to wait until I retire and I can live comfortably off my investments.” Then you retire, and it becomes, “I’d like to live a life of service, but I’m too old and tired.” These are the opportunity costs we fail to consider. Financially speaking, most people let their income dictate the lifestyle they live. There’s a certain level of income people need to live if they live simply. Inevitably though, people making twice or three times as much, don’t have any more disposable cash than the first person. This is because people let their income dictate their lifestyle. “The more I have, the more I need,” is how it goes. If we took into account the opportunity cost of our lifestyle, we might live a vastly different, and more fulfilling life. We might not drive a new car every two or three years, but we also might live the life that God has called us to, if we were listening. After all, keeping up with the Jones’s tends to keep our ears stuffed full of other sounds. There is never a better time than now. My wife had someone very unhappy with her recently before she went to Africa. They thought she had no business going off to Africa and leaving her children behind. I understand their fear, but I believe that if she waited until the kids were out of the house, the statement would have changed to, “she has no business going off to Africa at her age.” It’s just fear talking. It’s just fear talking when we say, “I’ll go when such and such happens”. It’s time we acknowledged the decisions we make that are based on fear and/or greed. Life is never secure, and anyone who tells you otherwise is likely selling something. So the time might as well be now. If you’ve got a burden on your heart to go and do something that doesn’t fall within the bounds of “normal life”, get out and do it before that unfulfilled burden turns into the desperation that Thoreau talked about. Let the dead bury their own dead. I’m Twelve Years Old, And I’m Going To Die. I’ve put off writing this article for some time now. 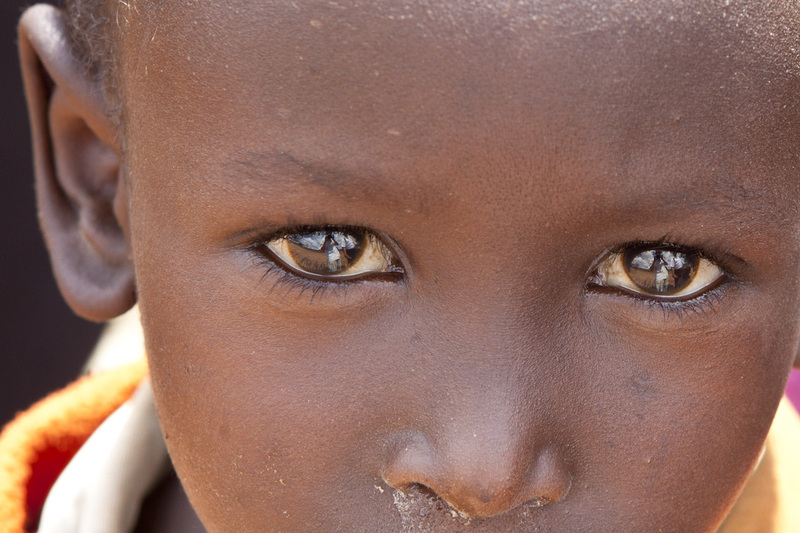 I thought about writing it last week in Ethiopia, but I just couldn’t bring myself to do it. Now I think it’s time. When I was 13 years old, my father died after a six month illness. Thirteen years after that, my mother was diagnosed with cancer. She fought that battle for six years, during which time I saw her deteriorate until she died as well. I found myself a young man with both parents dead. So though Loss and I are not on good terms, we have shared a table together on occasion. The problem with watching both your parents die at a young age is that it can take a mental and spiritual tole on you. During the time my mother was sick, and after she died, I began to wake up at night with this awful dread that I was going to die too. It was a fear I couldn’t shake. Fast forward to last week. 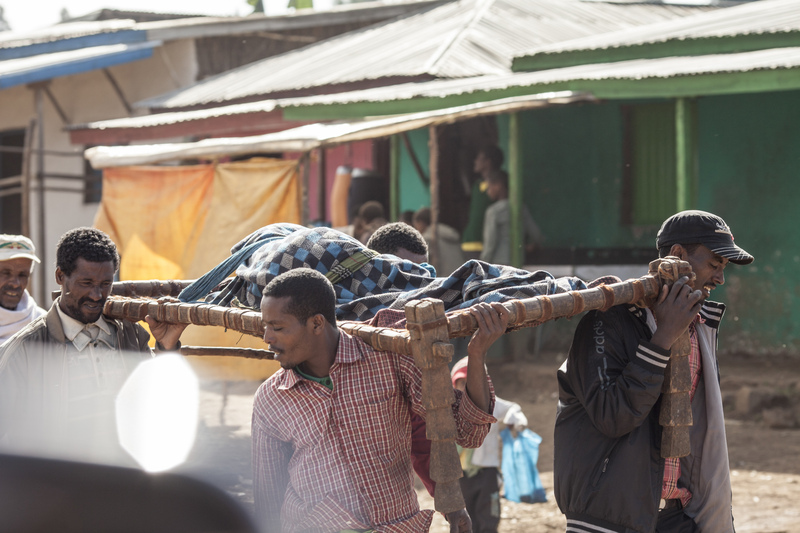 The most heart-breaking thing for me in Ethiopia was one boy who was about twelve years old. He came into the clinic because of some medical issues. He had a goiter, and his thyroid problem had caused another autoimmune issue that was attacking the pigment in his skin, leaving him with white patches. This boy had also lost his father about a month before. The boy came in because he didn’t know what kind of illness he had, but he was sure it was serious. I watched as this boy quietly wept in the chair. He was certain he was going to die like his father did. The doctors told him through the translator that he had nothing wrong that was going to kill him, but it took a while for it to sink in. This boy utterly broke my heart, because I knew exactly what he was going though. How terrible to be twelve years old and thinking you’re going to die. Though there were bigger tragedies of the week, this one hit me the hardest. Eight years ago, I was still praying that God would release me from this fear. Finally He did. At a seemingly random time as I was driving, in an almost audible voice, God told me that I am on this earth by His grace and for his purpose, and I’ll be here as long as He wants me to be. At that point I was delivered from all that fear of death I had been dealing with, and it hasn’t come back. It was this revelation that has allowed me to be involved with the missions I’m involved with. 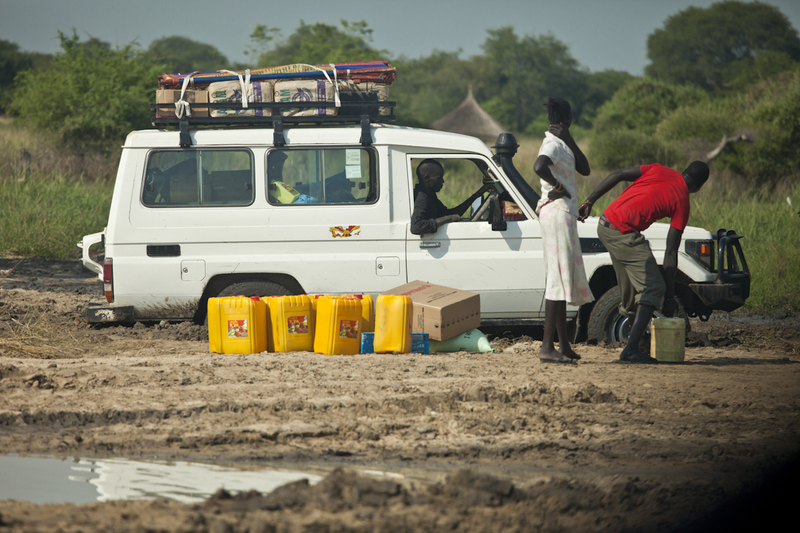 If I was still dealing with fear of death, I never would have been able to go to South Sudan. If I never went to South Sudan, I never would have gotten involved with missions in Kenya or Ethiopia. But God’s grace is sufficient. I still deal with fear of other things, but I won’t give them validity by naming them. When the day comes that I find myself willing to give them up to God, those will leave as well. Matthew 10:39 says, “If you cling to your life, you will lose it; but if you give up your life for me, you will find it.” This isn’t some trite irony that just sounds good because of its dualism. There is a profound truth in this. The day I gave up control of this situation to God was the day I found my life. After all, you can’t be afraid to lose something you’ve already given up. I hesitated to write this blog because of how I might come across, but I think it’s important that people read this, because I know there are a lot of people going through the same thing that I did. There is life, and there is hope. You just have to give up your fears to God, because He is the one in control. God is looking for faithfulness and depth in His people. I’m not normally one to harp on a point, but the same day I wrote the blog, “And Please Give Me a Million Dollars and Huge Pectoral Muscles” about the American church and how we treat God as if He’s here to serve us, Victoria Osteen got up on stage and graciously drove my point home. Here is a link to the monologue. I’ve left the Bill Cosby quote on the end of it to cleanse the palate after such a disgusting display of self-centeredness. This is preaching from a river so shallow I can’t even tell if it’s wet. This is what people with a feel-good Christianity eat up, and it’s why we have become so utterly ineffective at reaching those who don’t know Christ. If someone is living a life of hedonism and you offer them another kind of hedonism in exchange, what is the draw? Jesus came to set the captive free, not make him happy. Don’t get me wrong. There is nothing wrong with being happy, but it is not the be all and end all, and it is certainly not the kind of depth that Christ has called us to. Following Christ for the sake of being happy is a faith that will fail as soon as its tested. “1One day as he saw the crowds gathering, Jesus went up on the mountainside and sat down. His disciples gathered around him, 2and he began to teach them. Be happy about it when people mock and persecute you and lie about you and say all sorts of evil things about you? Is that what it really just said. It most certainly is. All of these things boil down to faithfulness. Let me tell you what “happiness christianity” does. (small c in christianity on purpose). The amount of money embezzled by church leadership exceeds the total amount of money given to missions to save the lost each year in the United States. You heard that right. Try standing before God and answering that one. But taking that money makes me happy, right? Like the “preacher” Keith Moore said, “Jesus became poor so that we could be rich”. What’s a few dollars here or there that was entrusted to me to advance God’s kingdom? I wish everyone had the opportunity to go to a third world country and live with the people there. I wish people could see the faithfulness I’ve seen that puts me to shame. They follow God whether they are happy or not. They follow God because He is God, not because He is Santa Clause. I will finish with verses from Revelation 3, from the letter to the church in Laodicia. We might as well replace Laodicia with America. 15“I know all the things you do, that you are neither hot nor cold. I wish that you were one or the other! 16But since you are like lukewarm water, neither hot nor cold, I will spit you out of my mouth! 17You say, ‘I am rich. I have everything I want. I don’t need a thing!’ And you don’t realize that you are wretched and miserable and poor and blind and naked. 18So I advise you to buy gold from me—gold that has been purified by fire. Then you will be rich. Also buy white garments from me so you will not be shamed by your nakedness, and ointment for your eyes so you will be able to see. 19I correct and discipline everyone I love. So be diligent and turn from your indifference. Faith and missions are two things that have been on my mind a lot lately, and particularly the way they interact with each other. I grew up in churches that had no fire, no power, no influence, and consequently made no difference. I no longer have time or patience for that kind of theology. We were taught as children that Jesus did miracles, and the disciples after Him did miracles and healings and all of the incredible moves of the Spirit of God that are talked about in the book of acts, but that after the disciples died, these things died with them. You can’t back that belief up anywhere in the scriptures, but we were taught it nonetheless. Why were we taught it? Well I’ll get to that later. In the book of Matthew is the following story. It takes place just after Jesus had preached to the multitudes and fed them all with five loaves of bread and two fish. “22 Immediately Jesus made His disciples get into the boat and go before Him to the other side, while He sent the multitudes away. 23 And when He had sent the multitudes away, He went up on the mountain by Himself to pray. Now when evening came, He was alone there. 24 But the boat was now in the middle of the sea,[a] tossed by the waves, for the wind was contrary. 29 So He said, “Come.” And when Peter had come down out of the boat, he walked on the water to go to Jesus. 30 But when Peter saw that the wind was boisterous,[b] he was afraid; Then Jesus began to sink under the waves…………………. Ok, if you haven’t figured it out yet, I changed that last bit. Here’s how it actually goes. So my alternate ending to this story is as ridiculous as what I was taught as a child, and what many are taught now. The fact is that my lack of faith doesn’t limit God in any way, it only limits what God will do through ME. Think about that. Hebrews 13:8 says, “Jesus Christ the same yesterday, and to day, and for ever.” If we don’t believe this is true, we may as well throw the rest of the scripture out too. The world is not interested in a castrated, ineffective, impotent, watered-down, powerless, gospel, because that is no gospel at all. I’m not interested in it either. There is a lost world out there, and if you don’t believe that, I challenge you to get out and travel to a country that the name ends either in ia or stan. We are not told the stories in the gospels and Acts to look back wistfully and say, “gosh, wouldn’t that be nice?” We are told these things as a reference for what we are expected to do today. So why aren’t we taught that today? Why are we taught that God doesn’t do this anymore? It’s born out of fear. If I choose to believe that Jesus still expects us to pray for the sick, to set the captives free, to go to the uttermost parts of the earth, to heal the brokenhearted, to give sight to the blind, (both literally and figuratively), to cast out demons, and even to raise the dead; if I believe these things then there is going to be a whole lot more required of me than just showing up on Sunday morning and putting in my hour. I might have to go and pray for that unsavory person on the street if the Spirit of God moves me to do it. It might require me to trust God to do what He said he would do. It might require me to go to a place where there is no Starbucks, or air conditioning, or paved roads, or even an assurance of safety. So if I go with the doctrine that God doesn’t do these things anymore, what I’m telling God is, “I would do these things, but you don’t do these things anymore. It’s not me, it’s you.” Then we can be content with our “faith” that requires nothing of us. It’s as ridiculous as getting out of the boat to walk to Jesus, but when we see the waves and start to doubt, expecting Jesus to be the one who sinks instead of us. Think about it. 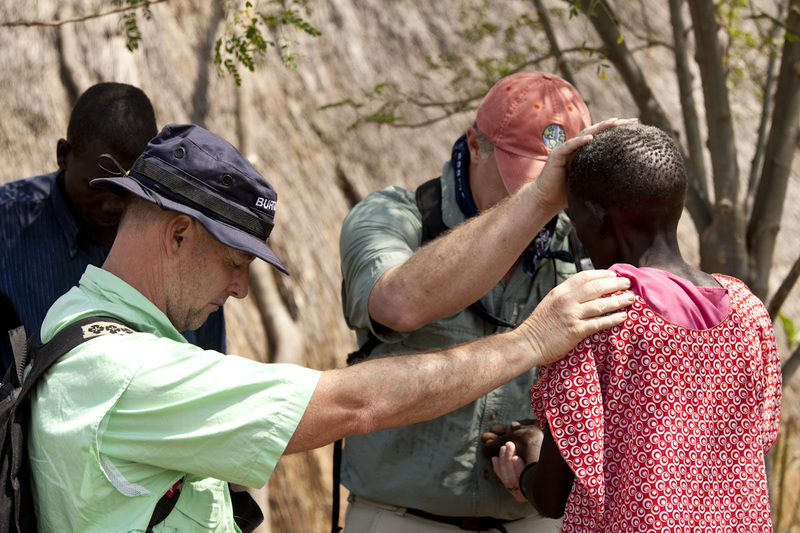 Missionaries pray for a sick woman in South Sudan. 4 There are diversities of gifts, but the same Spirit. 5 There are differences of ministries, but the same Lord. 6 And there are diversities of activities, but it is the same God who works all in all. 7 But the manifestation of the Spirit is given to each one for the profit of all: 8 for to one is given the word of wisdom through the Spirit, to another the word of knowledge through the same Spirit, 9 to another faith by the same Spirit, to another gifts of healings by the same[b] Spirit, 10 to another the working of miracles, to another prophecy, to another discerning of spirits, to another different kinds of tongues, to another the interpretation of tongues. 11 But one and the same Spirit works all these things, distributing to each one individually as He wills. 27 Now you are the body of Christ, and members individually. 28 And God has appointed these in the church: first apostles, second prophets, third teachers, after that miracles, then gifts of healings, helps, administrations, varieties of tongues. 29 Are all apostles? Are all prophets? Are all teachers? Are all workers of miracles? 30 Do all have gifts of healings? Do all speak with tongues? Do all interpret?31 But earnestly desire the best[d] gifts. And yet I show you a more excellent way. The previous verses come from 1st Corinthians 12. Paul goes into depth about spiritual gifts. I saw a video this week of a fantastic exercise in perspective; a piece of art by Bernard Pras. In this piece of art, he takes a large number of truly random items and places them in what initially seems like a completely haphazard fashion. It looks like a pile of junk on the floor, and walking by that is what you would assume it is. But walk to the right place, and look through a frame that excludes the extraneous distractions outside the pile of junk, and you see that this seemingly random junk is in fact a beautiful piece of art. Here is a link. You may have to copy it into a new window, but it’s worth it. I have heard people say, I have this gift or that gift. But it says in the scriptures, “earnestly desire the best gifts.” This goes for spiritual gifts, but also for all gifts and talents. I know people, and I myself have been given or developed through God’s grace talents and gifts that at the time seemed random or perhaps even useless in the grand scheme. But nothing is left to chance with God. We are all unique and all useful in completely different ways because we each have a different set of gifts. They are only random until God lines those gifts up in such a way that the perspective suddenly becomes clear, and when we are obedient and step out in faith, we find out that the gifts we sought were only random because we lacked the perspective and fore thought that God has, who sees the plan from beginning to end. So when we are told to earnestly desire the greater gifts, what we are being told is to make ourselves more ready to be used by God for whatever plan He has, even though we are totally unable to see it. So get up, pray for gifts of Prophecy, or knowledge, or wisdom. Get out there and learn a new language, or develop that skill that God has put in your heart, but you’ve always told yourself you were too busy to do, or that other things were more important. God wants to use you. In the movie “The Matrix”, Morpheus tells Neo, “No one can be told what the matrix is.” The same can be said for South Sudan. When I tell people where I do missions there, I get one of two responses. The first response is a cringe followed by, “Wow, rough place!” They’ve seen the BBC stories about civil war, starvation, tribal warfare, etc. The second response I get is, “Did you bring your wife and kids along?” They know nothing about South Sudan at all. Neither is really a correct assessment of what South Sudan is like. Even as I go to write this, I’m tempted to try to explain what South Sudan is really like, but I know that I can’t do it myself. There are unfortunately too many preconceptions and paradigms that Americans have about the way they think life is and about what’s important, and any explanation goes through those filters first. There was a show a while back called “Meet the Tribe”, where five men from Vanuatu come to America and stay with families for a while to see what American life is like. When they got to California I can honestly say I was embarrassed for our culture. Between the in-house botox parties and the many luxuries that are seen as needs, I was made aware of just how hard it is for many Americans to comprehend what life is like for most of the world. Fortunately, I took a lot of video footage the last couple trips I made. I was lucky enough to be in on a conversation that really put a lot of things into perspective, and explain a lot about why South Sudan is the way it is. It is also a great explanation to those people who ask, “Why do you go all the way over there to do missions when there is so much to do here.” It’s all in understanding what need is. So check this video out. It was shot this last November, about 30 days before the town we were staying in was destroyed over things that are talked about in the video. Hopefully it will bring some understanding.